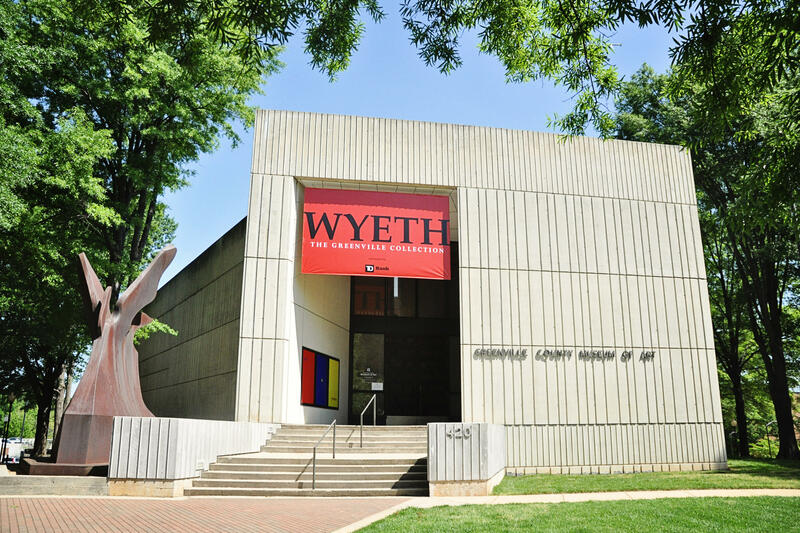 andrew Wyeth: Recent Gifts, Loans, & Selections from the Greenville Collection presented by United Community Bank. This past year the museum was generously given eight Andrew Wyeth paintings by an anonymous donor. These latest additions to the world’s largest public collection of watercolors are now on view at the GCMA for the very first time in our newest exhibition: Andrew Wyeth: Recent Gifts, Loans, and Selections from the Greenville Collection, which features 28 works. The watercolors in this show reflect Andrew Wyeth’s career-long project of transforming his subjects into forceful and compelling meditations on how we conceptualize what we see. The visual power of each painting relies on simple contrasts between dark and light. Much like ancient Chinese calligraphy or modern abstract expressionist techniques, Wyeth’s intuitive, efficient brushstrokes internalize the dynamic energy of gesture as they simultaneously define and anchor each composition’s overall structural framework. The viewer’s eye sees only what is necessary to construct meaning from experience. Inspired as a teenager by the watercolors of Winslow Homer, Wyeth struggled to replicate the master’s rendering of atmospheric effects. In 1937, only one year after painting Tending the Net, Wyeth enjoyed commercial success with a sold-out exhibition of watercolors in New York City. By that time he had abandoned Homer’s tidy realism for a more expressive, color-saturated style. The work exhibited here exemplifies the maturing artist’s restless experimentation with paint application and texture that ultimately achieved an emotional status for the most mundane objects and environments.